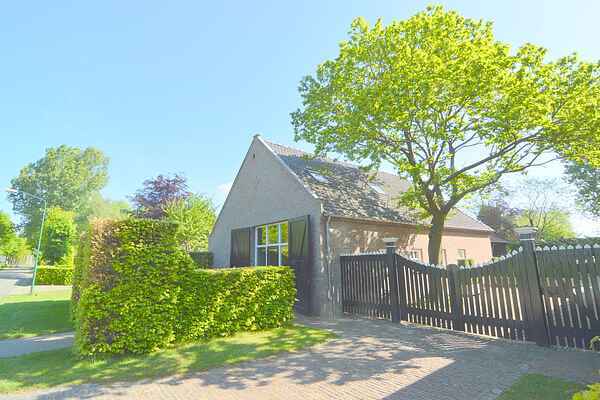 This holiday home is located in the village Loon op Zand (Brabant). You will enjoy the very spacious garden with an orchard, where life is sweet. To this accommodation belongs a large partly covered courtyard which offers possibilities in bad weather. The location on the edge of national park "De Loonse and Drunense Duinen" is an ideal base to explore the gorgeous nature in Brabant. It is great to go on excursions with the whole family, on foot, on horseback, on the bicycle or by car. The Brabant cities Tilburg, Heusden, 's Hertogenbosch and Breda are easily accessible and there are two fun patks in the immediate proximity: the Efteling and the Beekse Bergen. Other information: It is also possible to rent this house in combination with holiday house Populier. Togeheter the location is ideal for groups up to 20 persons.